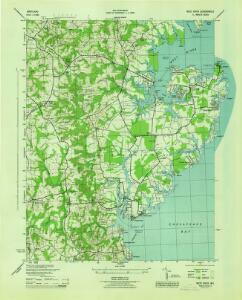 Topographical atlas of Maryland: counties of Anne Arundel and Prince George. 1 : 221760 Walling, H. F.
1 : 221760 Martenet, Simon J. Army Map Of The Seat Of War In Virginia.